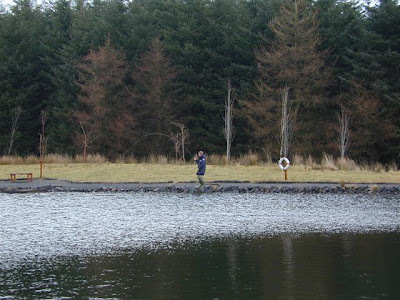 Newly presented to the market is a unique opportunity for a company or individual to enjoy exclusive hospitality rights at an exceptional facility near Glasgow. 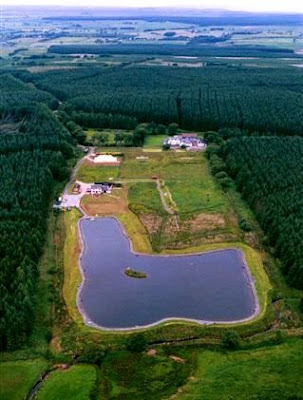 On offer is the exclusive annual lease of a four-acre purpose built trout loch in a secluded location. The proposal may also suit a club or syndicate. 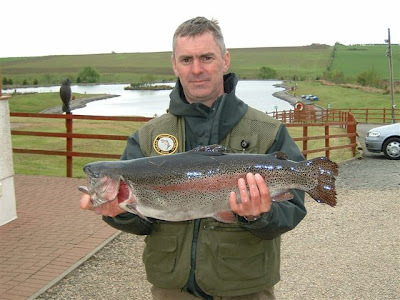 The loch is fully stocked with rainbow trout up to 12 pounds in weight, and will be maintained by the landlord (with restocking at tenant’s cost). There are 50 fishing platforms providing an excellent opportunity for large scale hospitality / entertainment at reasonable cost. Professional tuition is available by arrangement. On site is a service block with toilets and showers, a rod store and private parking. A tearoom and a six-bedroom lodge are proposed. Clay pigeon shooting and tuition are also available on site by arrangement. Details of all of the facilities will be provided to serious enquirers. There are currently 635 Ayrshire business stories permanently archived on this site. To locate those of most interest to you, please use the site search facility in the top left hand corner of this page. Type your search term in the white box, then click the magnifying glass symbol.